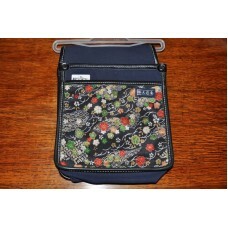 An attractive "Japanese Made" floristry bag in beautiful floral fabric that is used for carrying all the useful items a florist uses in the shop. Two pouches - a deep pouch at the back that can hold floristry scissors, a pair of secateurs, florsitry wire and a shallow pouch at the front for holding a notepad and pen for taking orders. 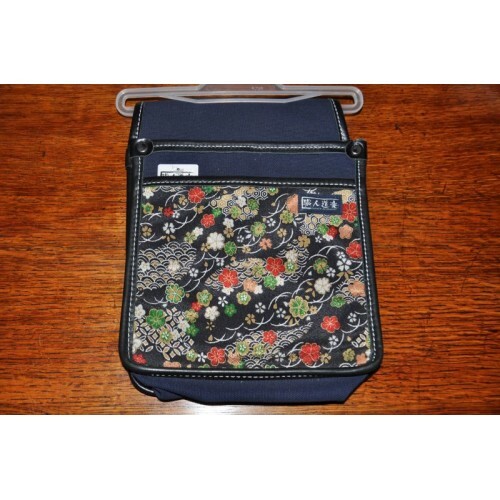 Use with a belt (not included) Size - 20cm wide x 25cm high.